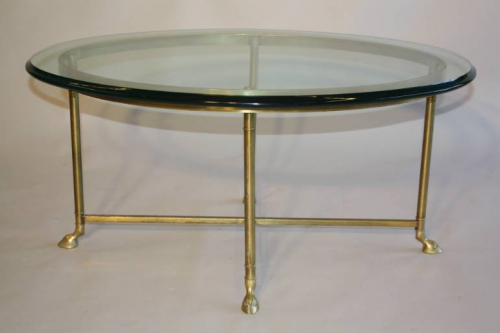 A very unusal bronzed metal base occasional/coffee table with hoof feet and thick curved glass top. French c1950. Both glass top and base are excellent quality and in fantastic original condition. French c1950.